Sorry it?s taken me a bit to get this one together, but I?ve been spread thin lately. 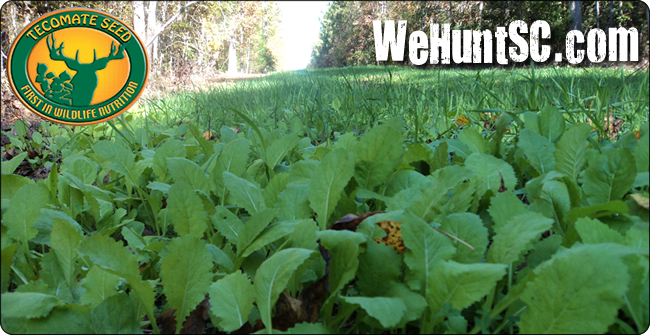 As you know, we?ve been working on several summer food plots on our Tecomate Seed Food Plot Journey. I?ve been documenting one plot very thoroughly and we?ve been carrying out the same processes in other locations as well. 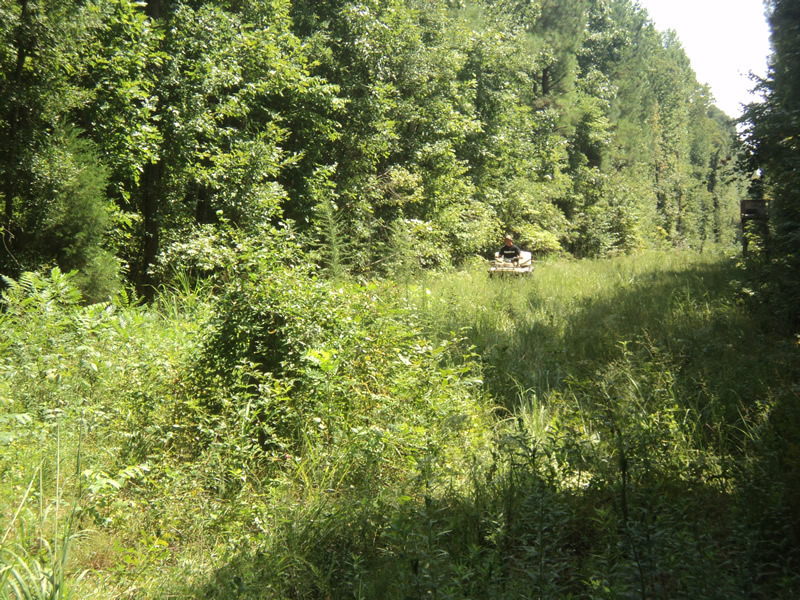 I?ve also documented much of the journey of our remote food plot. We?ve been getting some good rain and the lab lab and lab lab plus is starting to grow pretty well. I?d like to update you on a few of the plots because we?ve got some mixed results that we can already learn some lessons from. Food Plot Location 1 is the location where we have been doing most of the documenting and I?ve got some bad news to report on this one. Initially we planned to plant this field with a no-till-drill which would get the seed in the ground without turning the soil up. We wanted to do this because this field had some weeds in it in previous years and their seeds remained on the soil. Using a no-till-drill is beneficial because it gets the seed in the ground without turning up the dirt. When the soil isn?t turned up the seeds of the weeds remain uncovered by the dirt and do not germinate while the seeds in the no-till-drill get planted into the soil. Since we couldn?t get access to the no-till-drill the undesired result has occurred. By not getting the no-till-drill we were forced to disc the field. This field had been sprayed, but spraying it only killed what was living on the surface. The seeds of the weeds remain dormant until they get covered in dirt. The moisture in the dirt causes them to germinate. Add all of this + our actions up and what do you get? 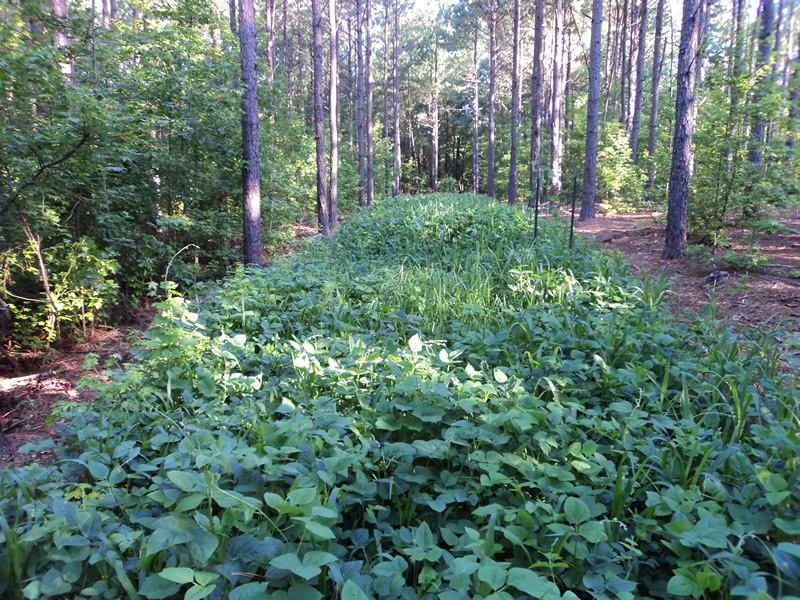 a field covered in weeds and food plot product as seen below. Since we have a mess on our hands in this field we have opted to spray it with 2-4 D + Round-up. We are going to spray it in hopes of killing the weeds in preparation for the fall plot. In short, the summer plot at this location = fail! Since we are spraying the field, we went ahead and sprayed a few different areas as that we are going to work on for the fall plots. I made it out late to the field, but I did get some footage of the other areas being sprayed. You can see how we sprayed it below. 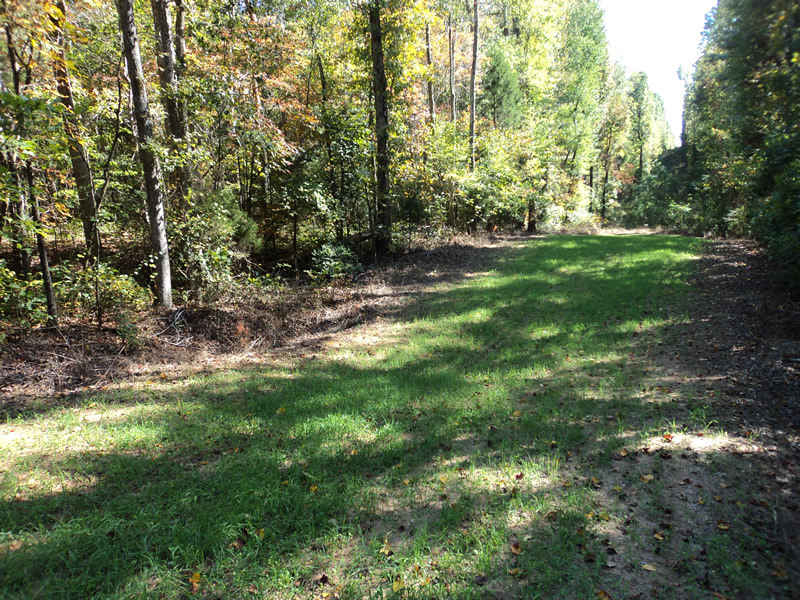 Food Plot Location 2 has a much better result at this point and some deer tracks are already in the plot. We?ve even seen where some of the plants are getting nipped at the top already. 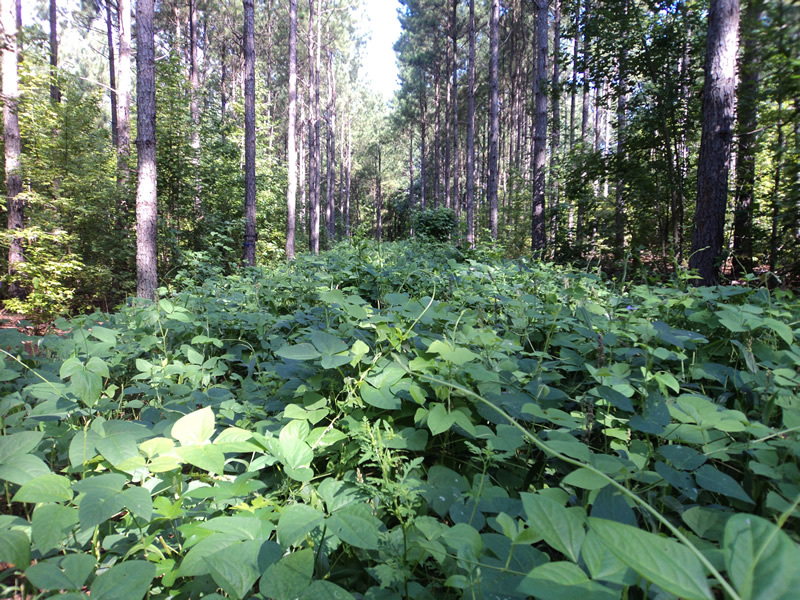 This location has had food plot products placed in it year after year and there are no remaining weeds in the soil. For that reason, we were able to use a disc here without having a bad result (as we did at the previous location). You can see this plot clearly in the video, but here are some pics of it too. 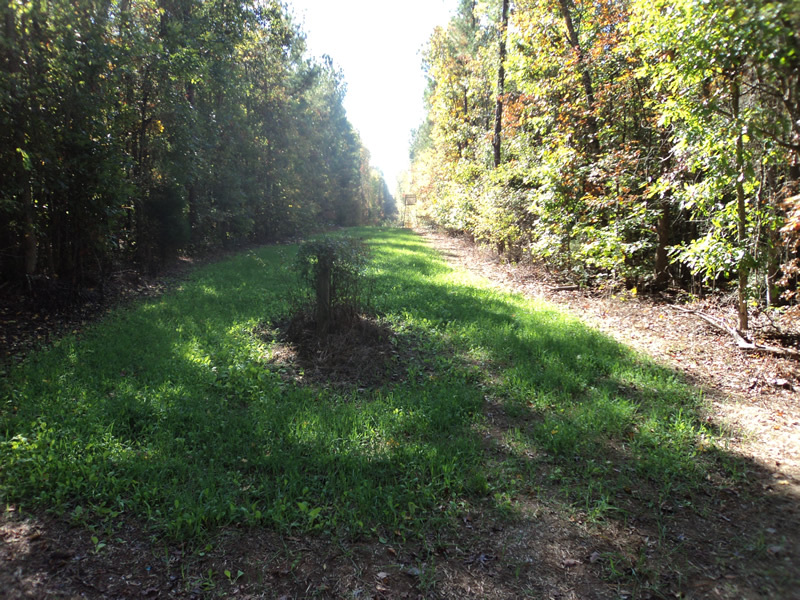 This food plot is kind of shaped like what a golfer would call a ?dog leg right? because it?s straight for a long time and then it curves around to the right at the top. 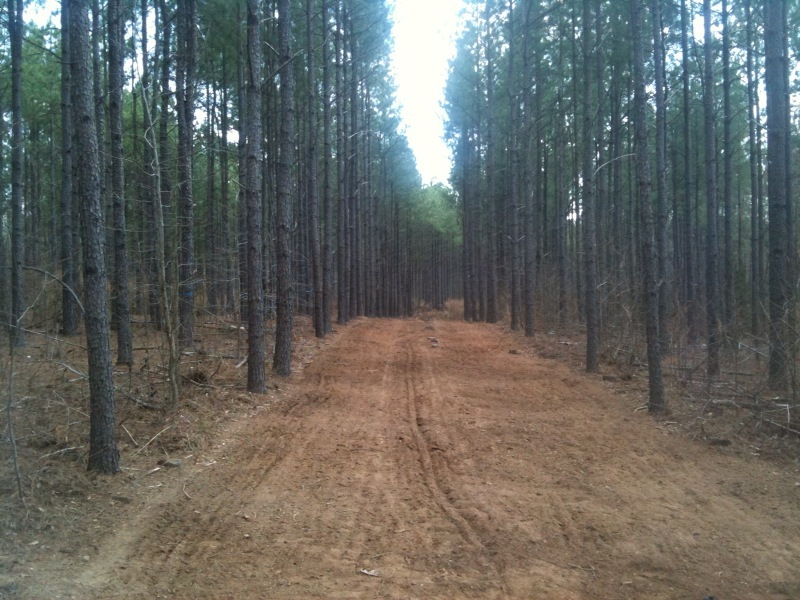 Food Plot Location 3 is a smaller area and is also coming along well. The soil here is a little more like clay than the sandy soil of the others. 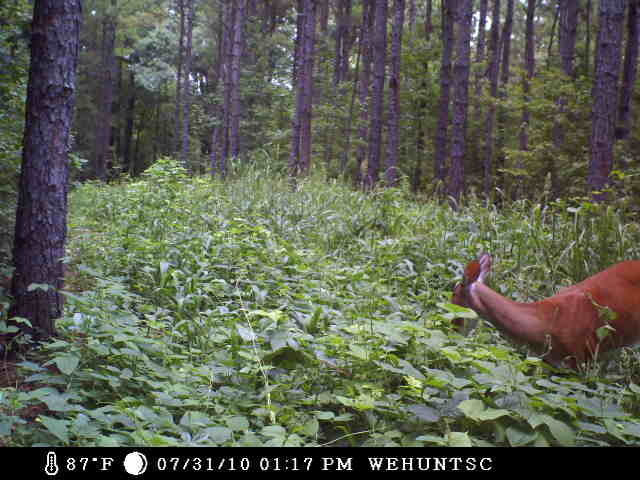 We were also able to get some pics of deer in this one on the game camera. 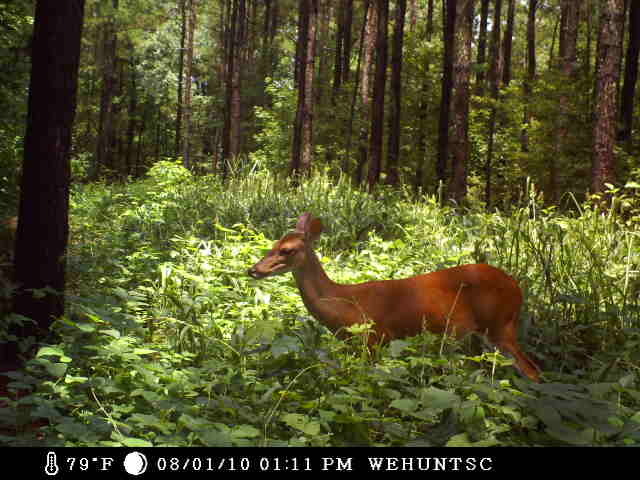 We were also able to get some pics of deer in the plot in the last few days. I couldn?t believe this one doe was so close to the camera at 5:00 in the afternoon in 100 degree heat! 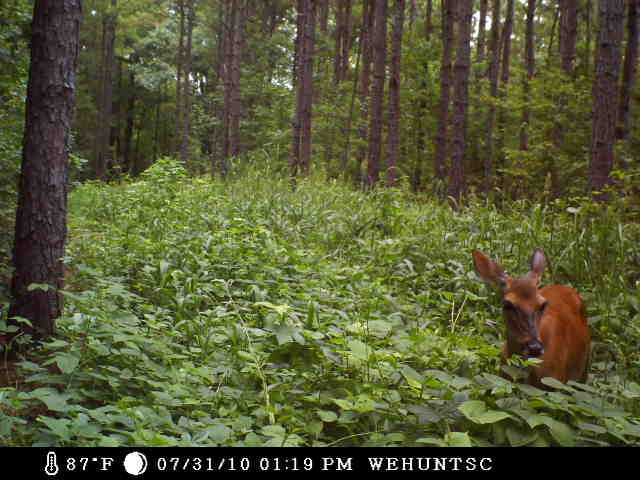 Then another snuck through at night and you can barely see her because the food plot is growing so high! 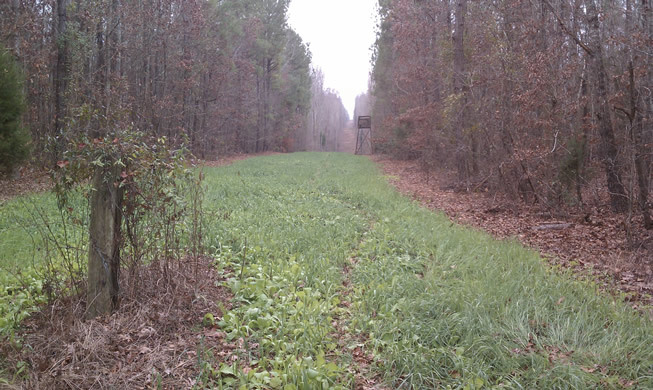 As we?ve traveled the ?Food Plot Journey? I?ve learned a lot about what to do and, as you can see with this journal entry, I?ve learned some of what not to do as well! Our inability to come through with the no-till-drill did not benefit us at location 1 because of the resident weed seeds in that location. By plowing and discing the field, we only covered the seeds of weeds (and other unwanted plants) with dirt allowing them to germinate. This happened because some seeds of weeds remained from previous years. 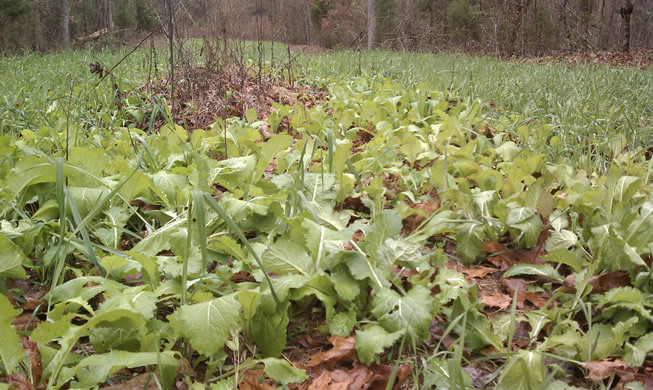 Consequently, along with planting our food plot seeds and them germinating and growing, so did the seeds of the weeds. 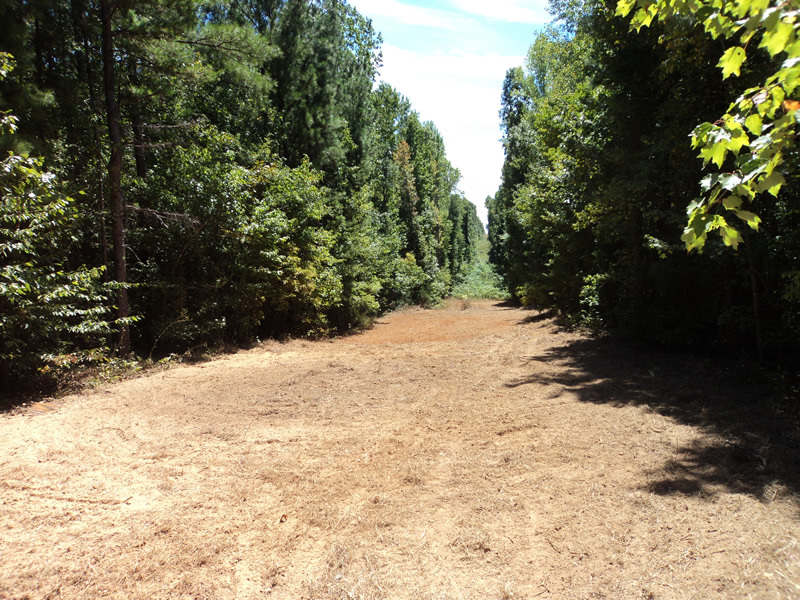 Since we?ve currently got a less-than-desirable food plot going on at location 1, we?re going to spray it with 24-d & round-up to try to start getting ready for the fall plots in that area. So, we are not batting 1000, but we haven?t got benched by the coach just yet. I?m glad that the majority of the plots are going well, but I?m bummed that the main plot that I was documenting very thoroughly did not turn out. I?ll keep on reporting back with the others though to see what happens and we are planning to have fall plots in these locations as well. There?s a song by Meatloaf titled ?2 out of 3 ain?t bad? so that?s going to have to be the theme at this point. 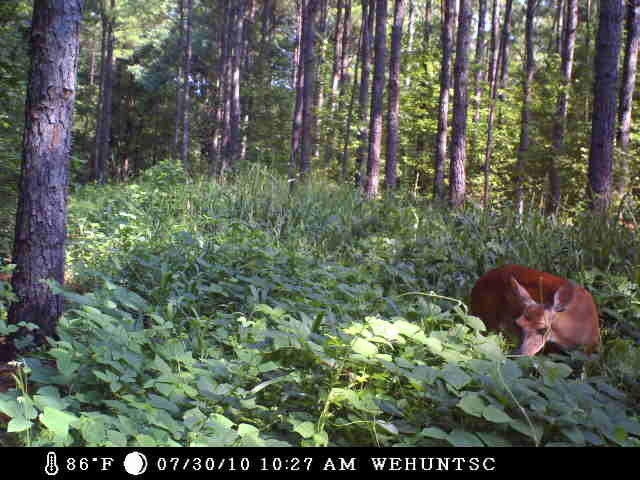 We?ve got game cameras out in some of these plots and we?ll be moving them around in hopes of getting some good pics. 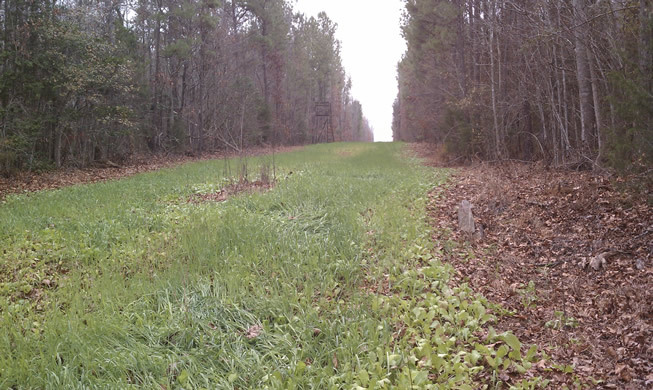 There is a lot out there for deer to eat at this point, but sooner or later they?re going to come through these plots and pose for us. If we can get some good footage, I?ll post it here. 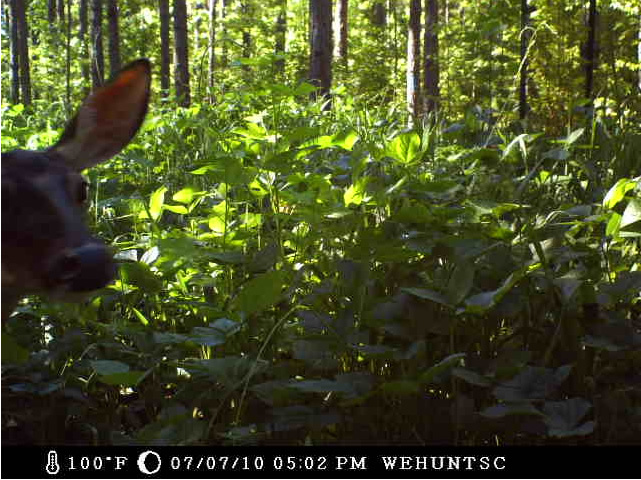 Looks like I?m going to have to move the camera higher up the tree since the food plot product is now growing higher than the camera! 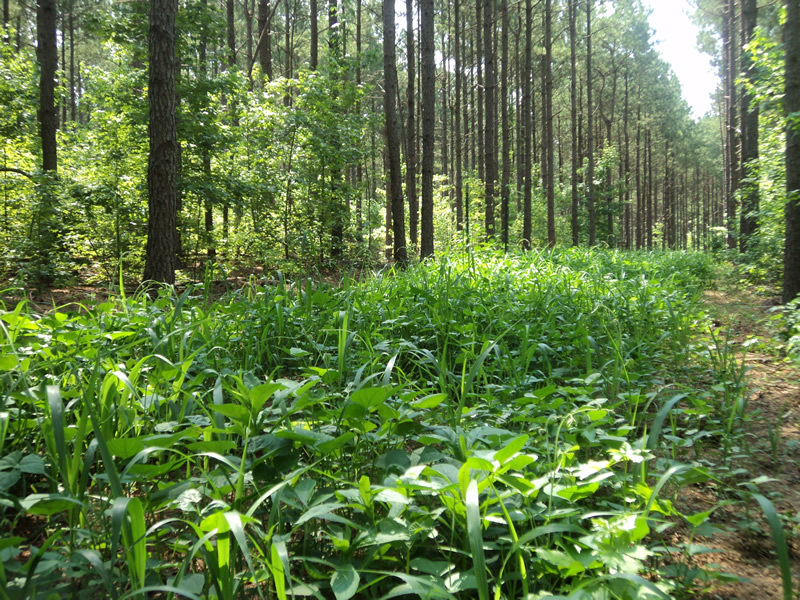 If you've been around long enough (or checked out the Food Plot Journey blog series) then you know that we've been busy for the last year installing, messing up, making, working on, and learning about food plots. I have been the quintessential guinea pig blogging about what we've been doing along the way and we are nearing the end of the journey for this year. As you have seen, we've been highly documenting the power line food where we put Tecomate's Max Attract and Ultra Forage. We used the GroundHog MAX and a tractor to get the ground ready and the plot has done well. 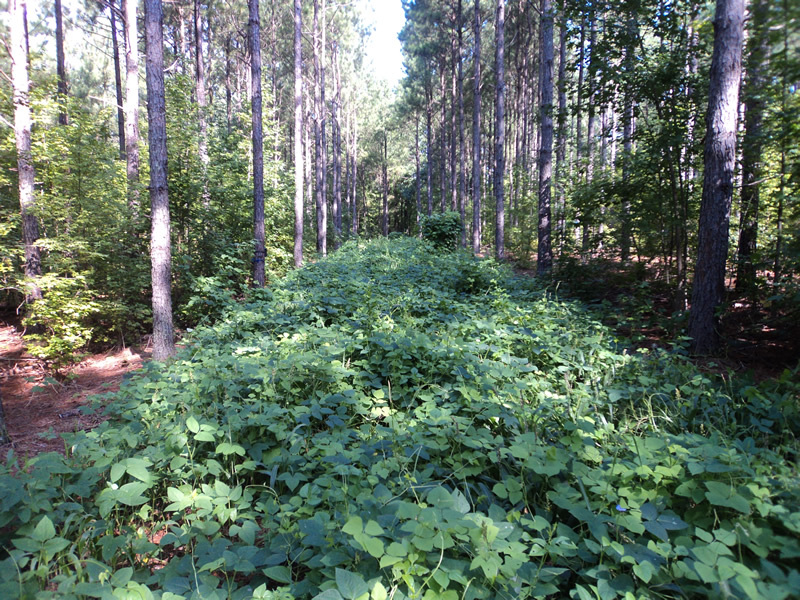 You may have also seen the epic "Hunt of 1,000 What-Ifs" that took place in the power line food plot. When we walk through the plot now the plants are over our ankles and are up to our calves in many locations. Needless to say, this plot has done well. 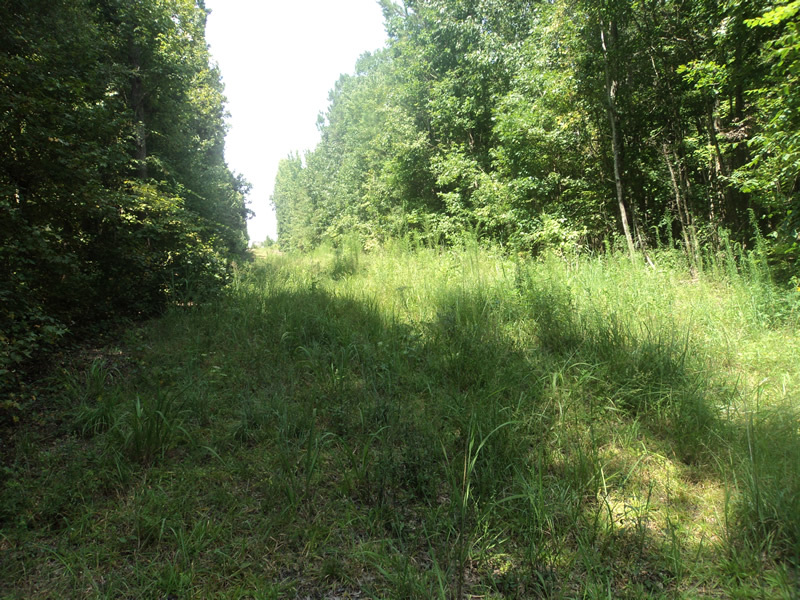 I will say that early in the season we didn't see a lot of action in the power line food plot. Though as it has gotten colder and the deer's food sources have been lessening, we've been seeing a lot more deer passing through and browsing as they walk. 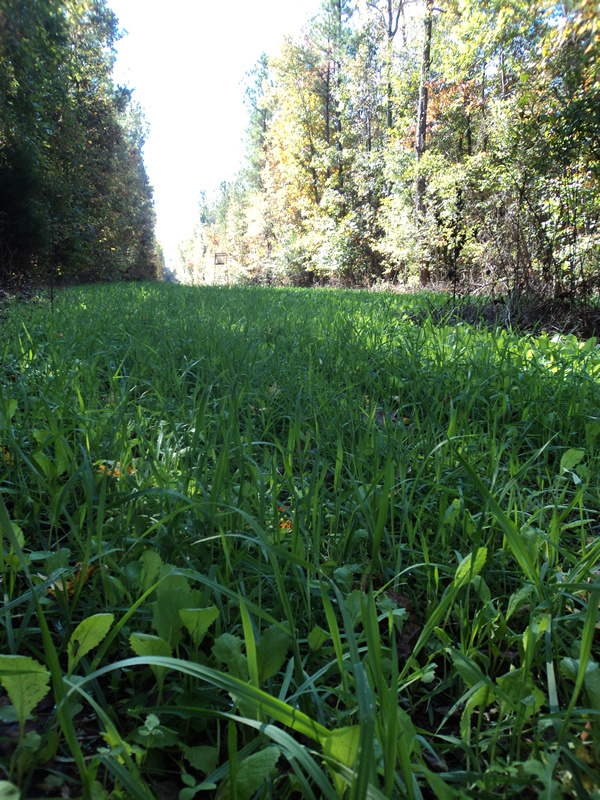 For this reason I think fall food plots can prove crucial to bring deer in front of you as deer hunting season nears its end. Below are some updated pics from the power line plot to give you visuals for what it looks like at this point in the season. 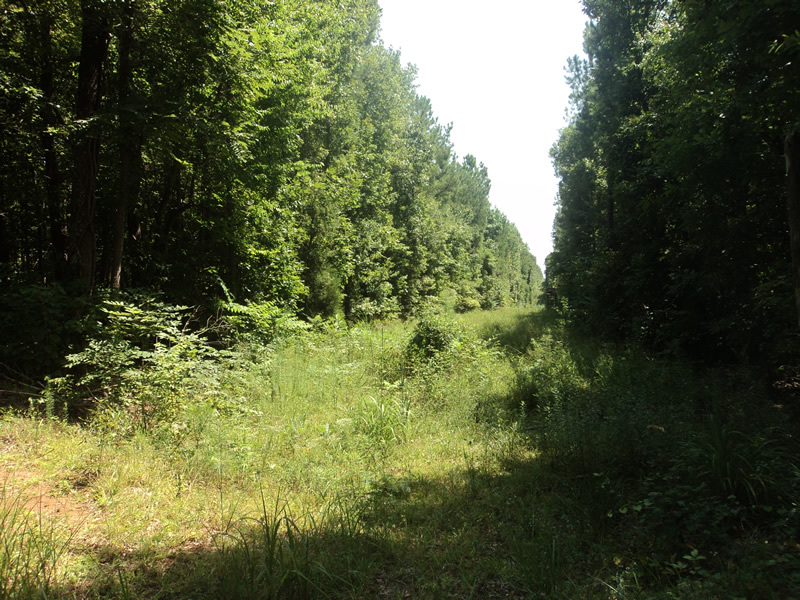 Which side of the power line would you go to if you were a deer? Looks like a deer or two may have laid down in this one! 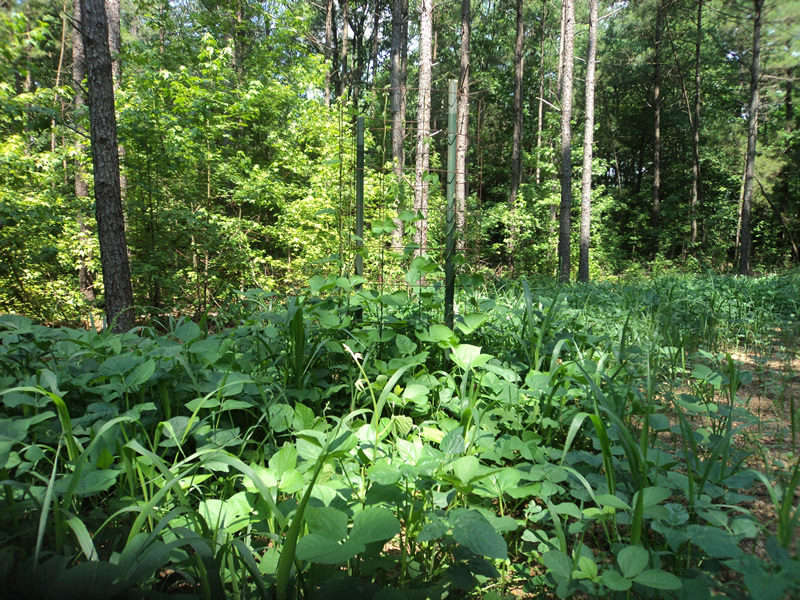 As you know, we have also been working on other food plots in various locations that we planted a little later on, but have not been reporting as much via the blog because we were just repeating the same processes at each location. 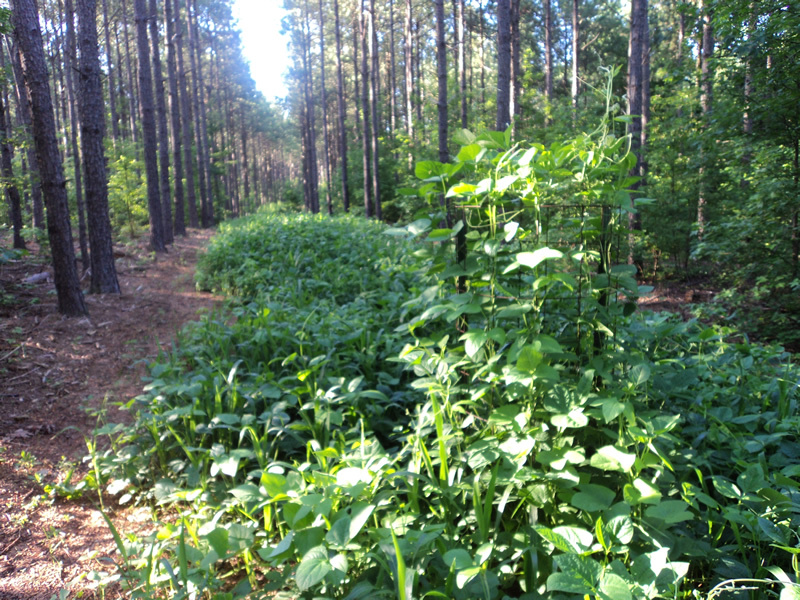 The MAX Attract and Ultra Forage are both doing well at all of the different plots that we planted. 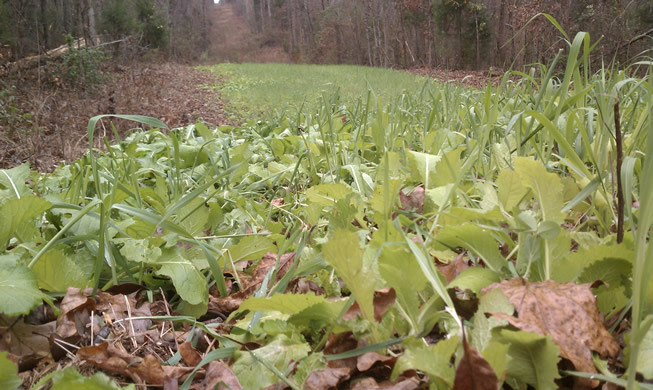 From what I can tell, the MAX Attract seems to grow a little faster and taller than the Ultra Forage, but the Ultra Forage, when it grows, has very nice, green, broad leaves. Below are some pics from other plots that we planted. The green in the midst of the brown and grey looks really good! From the deer we've been seeing in these plots I can tell you that we'll definitely be trying to plant fall food plots again next year! 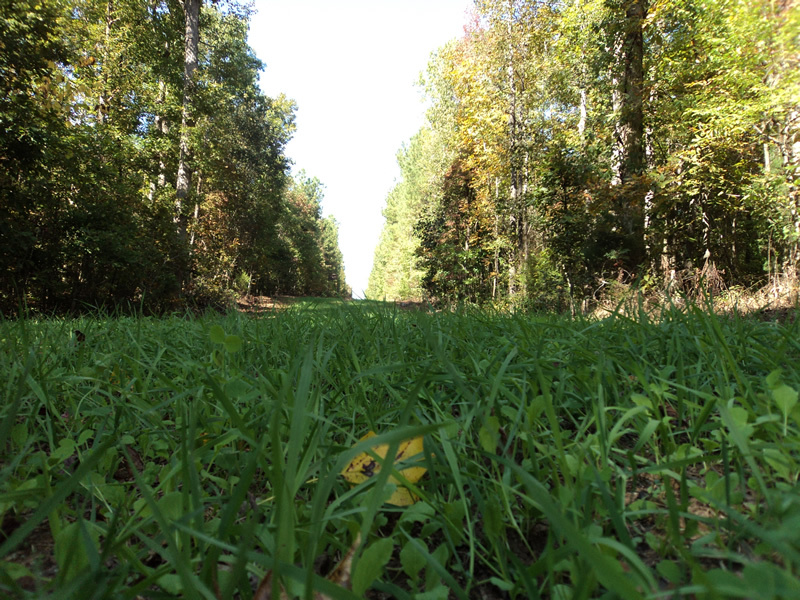 These fall plots give the deer something to eat (and a healthy product at that) when their food sources lessen in nature. 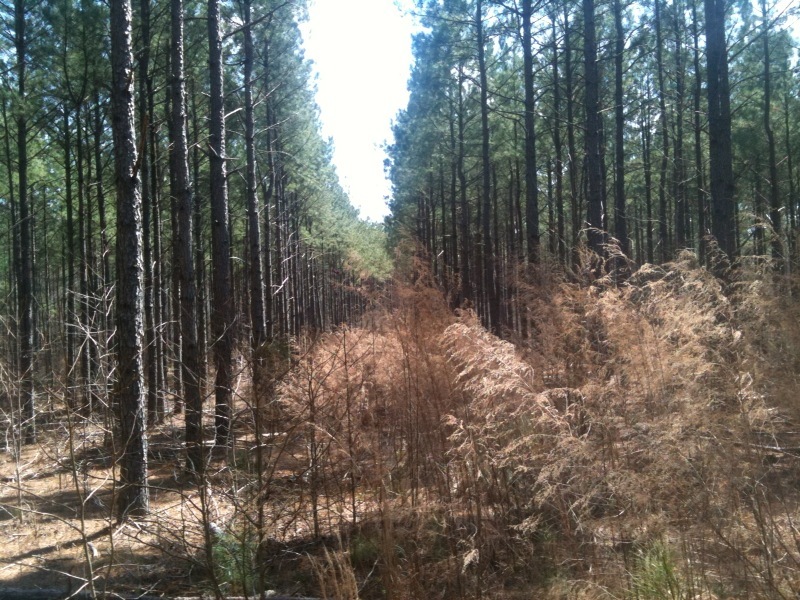 Hopefully this will help hold deer in our area and give them the nutrients they need to stay healthy year round. This week has been very busy with all that we?ve got going on, but that is fine by me. 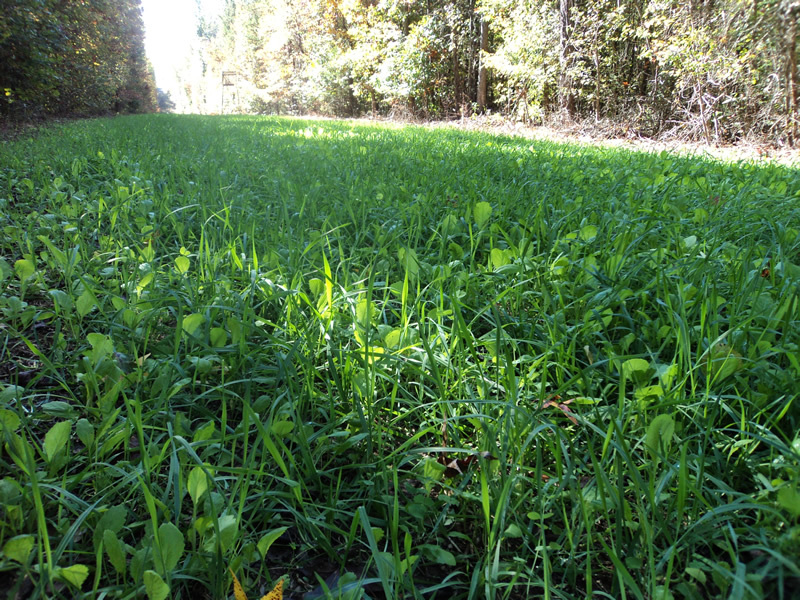 As we continue to monitor the food plots, we have to get ready to plant the fall plots as well. 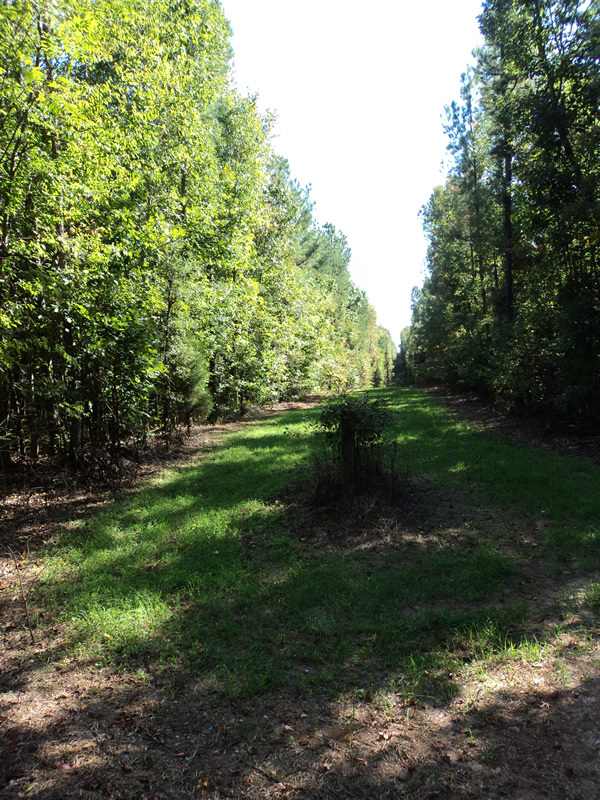 So, when we got back from the Pee Dee Deer Classic, we journeyed out to the woods to check up on the remote food plot. We also went and took a new soil sample at a location where we?re going to try to plant a different fall plot to get an idea of the composition of the soil. 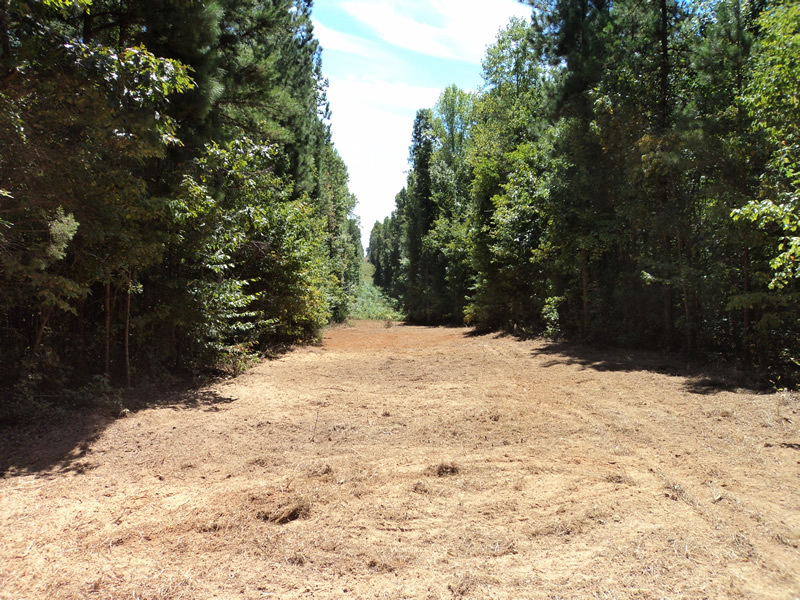 Since this will be the first time we?re planting a food plot in this location it will take us some time to get the soil in the best conditions possible, but you have to start somewhere. Earlier in this series, I covered the reasons why one needs to take a soil sample. You can see that blog entry here: Collecting a Soil Sample in case you haven?t been following along. 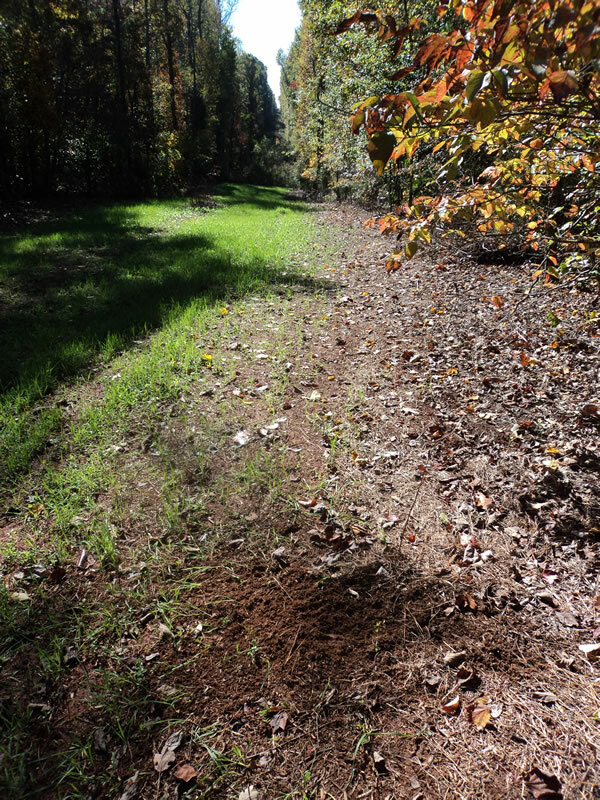 Even at the Pee Dee Deer Classic, the Tecomate Seed representatives and other food plot experts presented and spoke about the importance of the soil and how the composition of the soil directly affects your food plot?s success. They talked about the ?pieces of the puzzle? 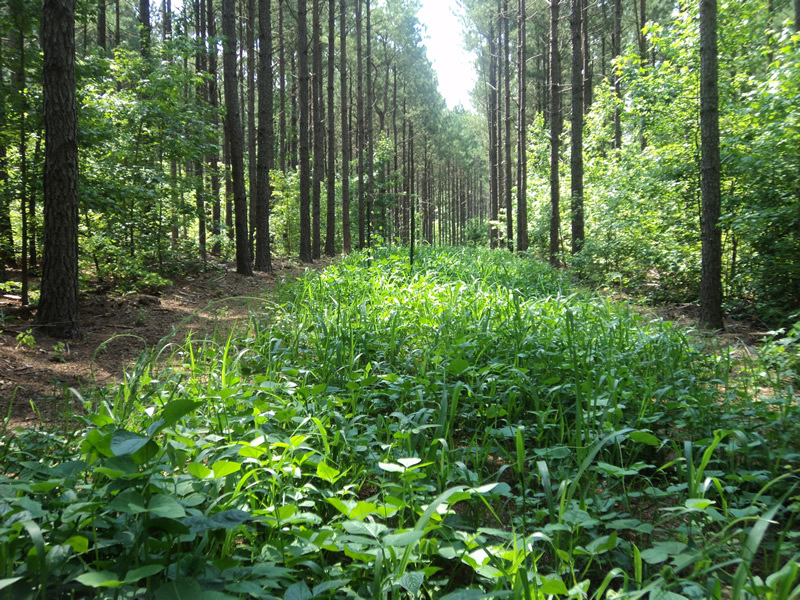 necessary for a successful food plot. I may be leaving some pieces out, but what stuck with me were three main pieces: the soil, the seed, and the knowledge. 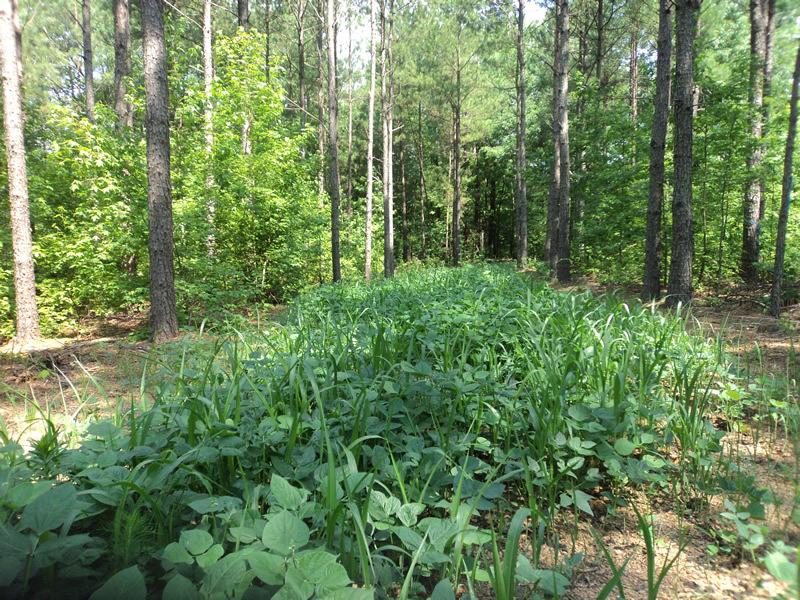 In order to have success with a food plot you?ve got to have soil that is ready and conditioned to foment the growth of plants, good quality seed, and most importantly?you?ve got to know what to do! (That last part is what I?ve been working on for some time now). 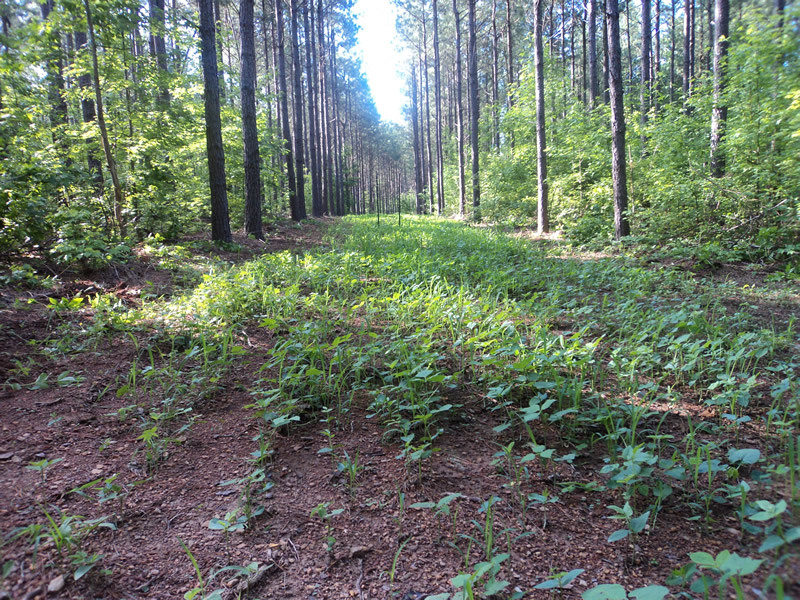 So it?s the week of August 1st and we?re taking a soil sample and intend to plant a fall food plot in late September to early October. If you?re in South Carolina and want to know where you can get a soil sample analyzed, just find your local Clemson Cooperative Extension by clicking here. For a small fee, you can send off your soil sample and they will return you a read out with detailed information about the makeup of your soil. If you have trouble understanding the pH and all that, then you can take it to a seed and feed store and they can assist you with interpreting the results. The staff at the local coop can also help you with that as well. 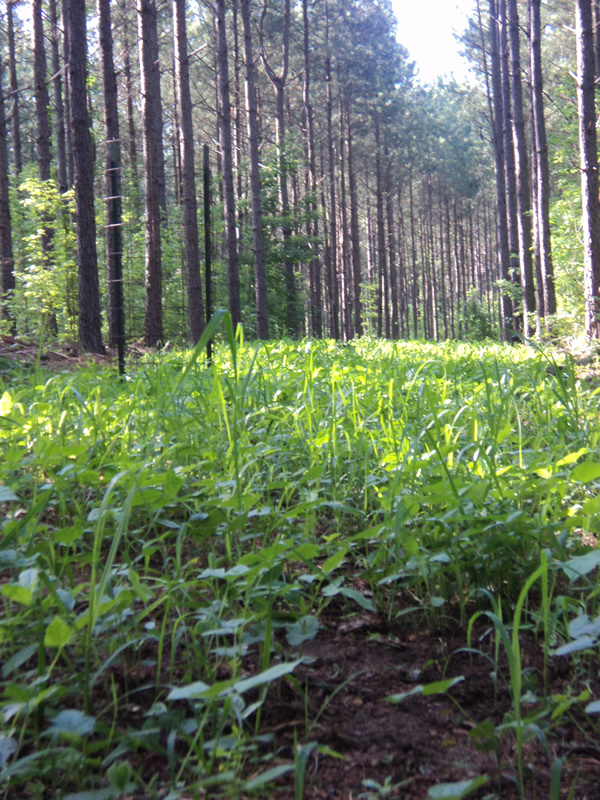 The remote food plot continues to grow well. As I continue to be clueless about this all, I was wondering why all of this stuff wasn?t eaten already. 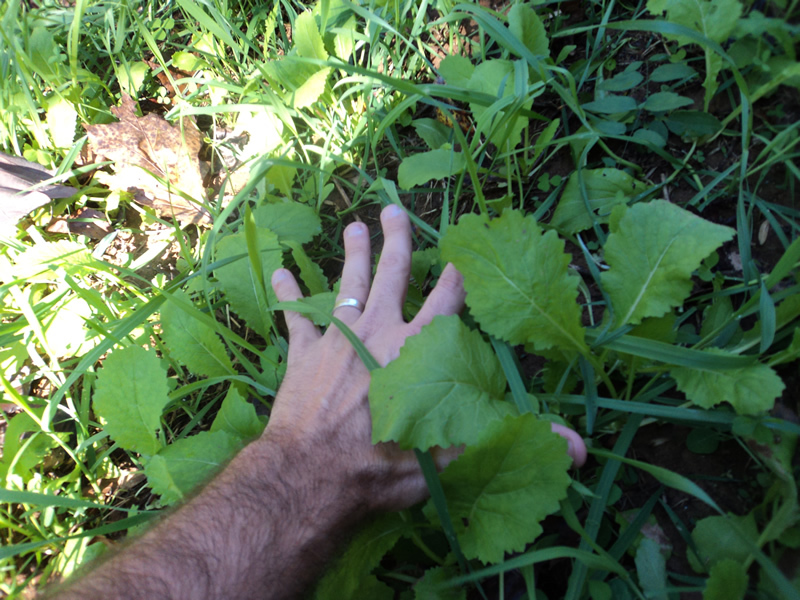 I know there are deer out there, but yet some plants continue to grow untouched by the deer. I knew that the seed was a mixture of plants (milo, clover, peas, etc), but I didn?t know that the deer would be eating them at different times of the summer/fall. 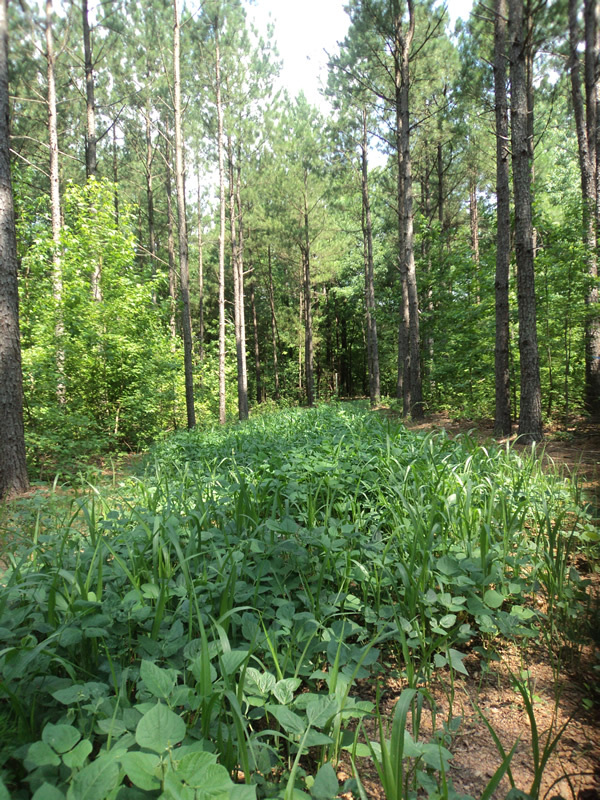 The deer are being selective about what they eat as they walk through the food plot. That is, they are eating some specific types of plants and not the others. You can plainly see where they are passing through the plot and also which plants they are eating. It appears that they are eating the peas and the lab lab and leaving a lot of milo untouched. I spoke with the Tecomate rep and he said that after the first frost comes the starches in some of the plants will turn to sugar. 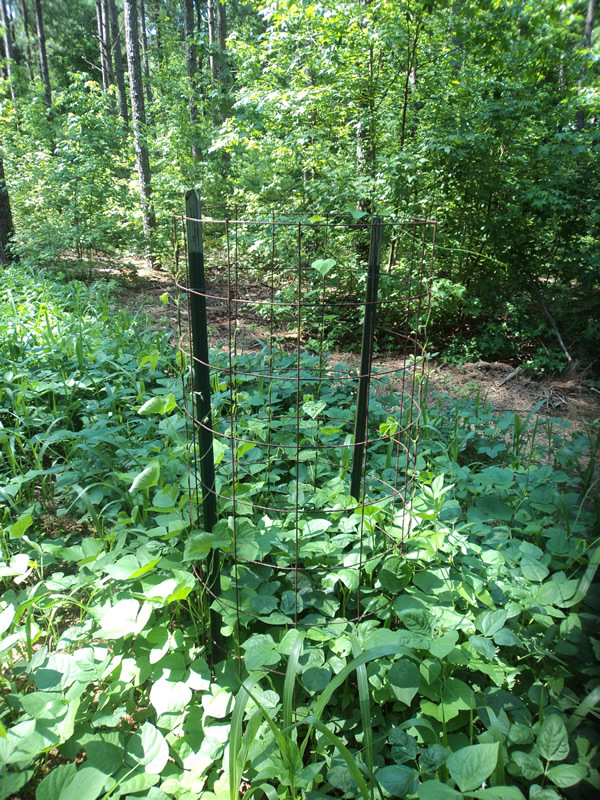 After that happens then the deer will really get in there and eat the remaining plants. I hope this is right! He also mentioned that the first time you plant a plot it kind of takes the deer a little while to figure out that they can get in there and eat the plants. Another note to mention is that I have not been getting many game-camera pics. I thought something was wrong and it turns out that when you have dead batteries the camera won?t take pictures! So we have put new batteries in the camera and hope to have some good pictures in upcoming blog entries. 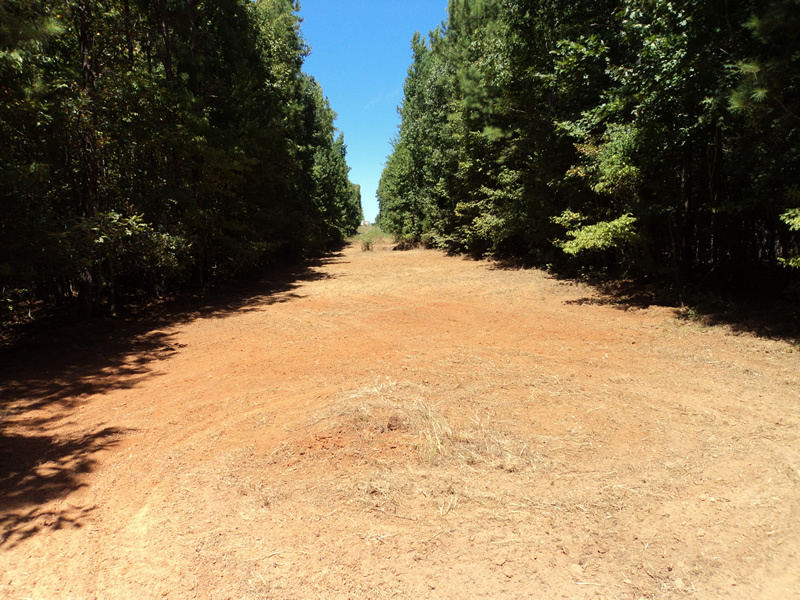 The below video is of us getting a new soil sample where we?re going to start the process of conditioning the soil and attempt a fall food plot install + a current view of the remote food plot. Sorry to spin so fast out there?it made the video a little blurry. Maybe one day I?ll upgrade cameras and get better footage.